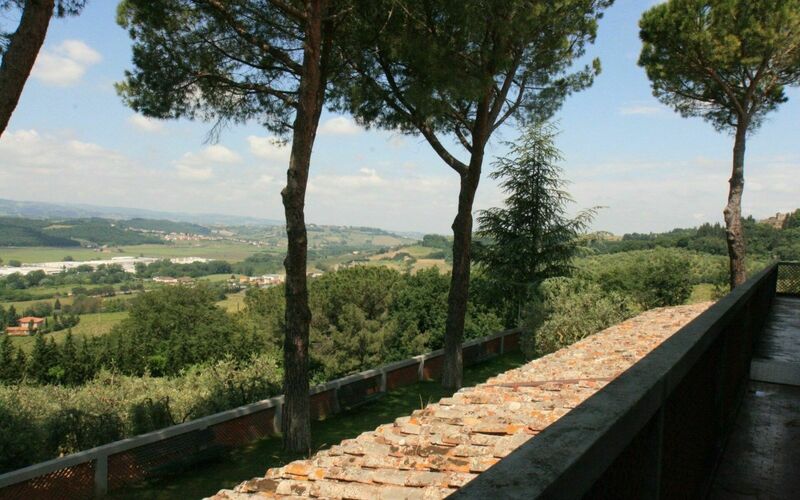 San Gimignano and the counter correspond exactly to our expectations and dreams of Tuscany in this context, the villa stands on a small hill, surrounded by olive trees and vineyards. 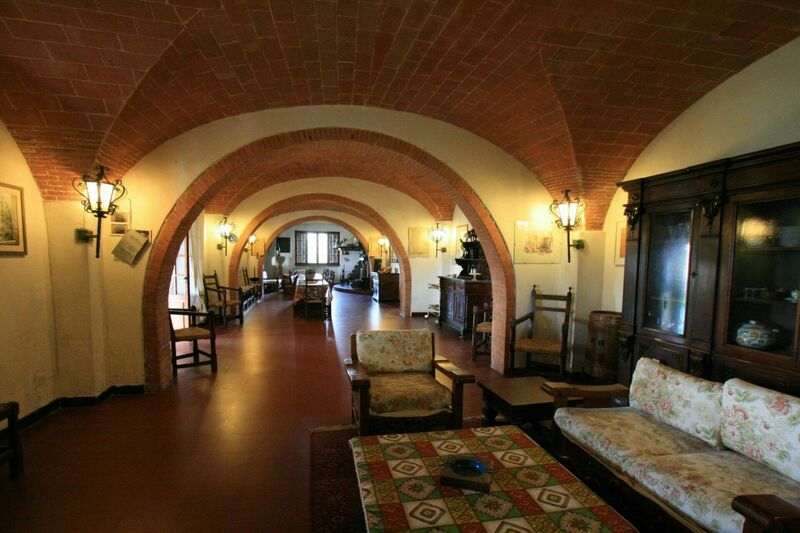 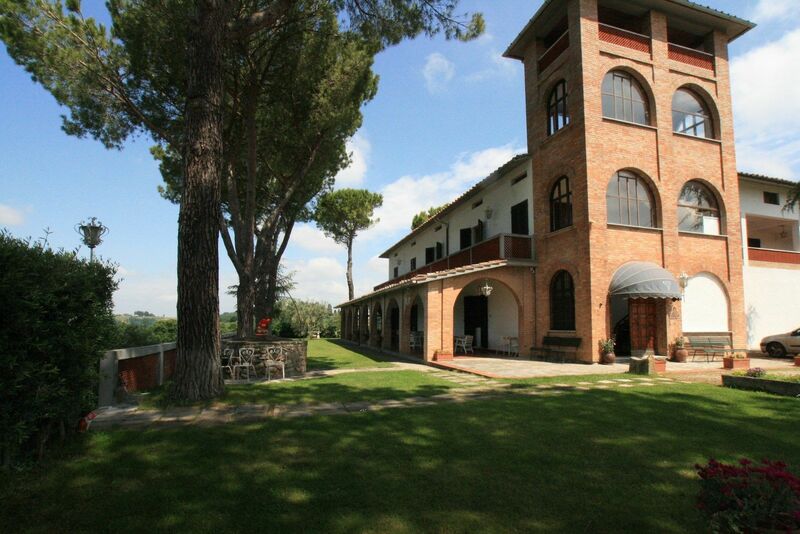 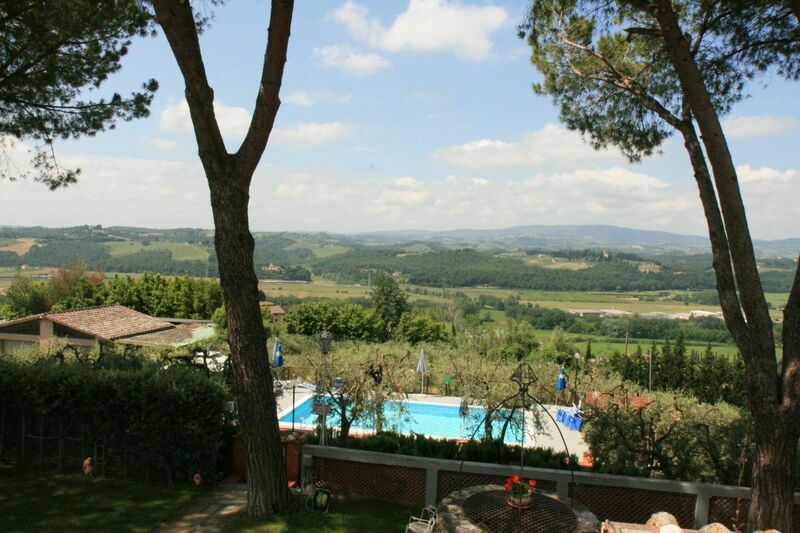 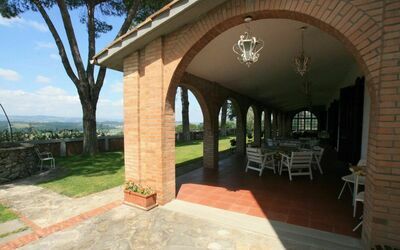 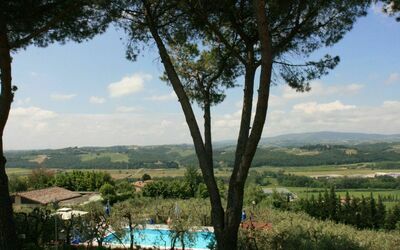 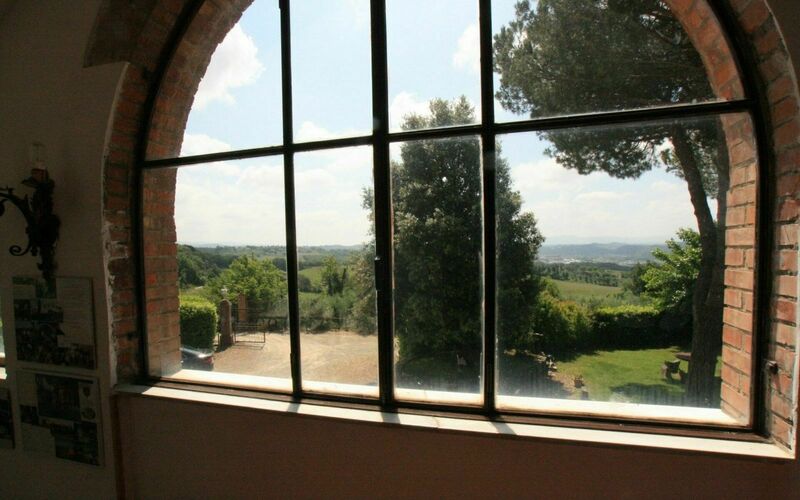 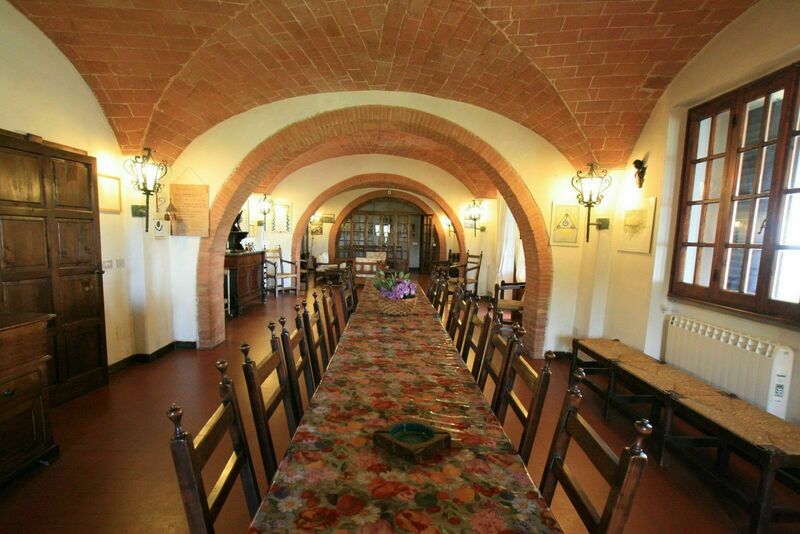 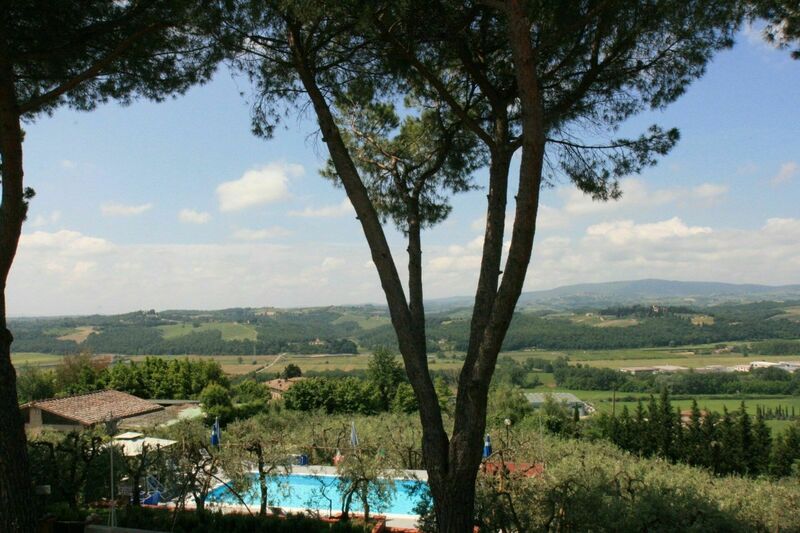 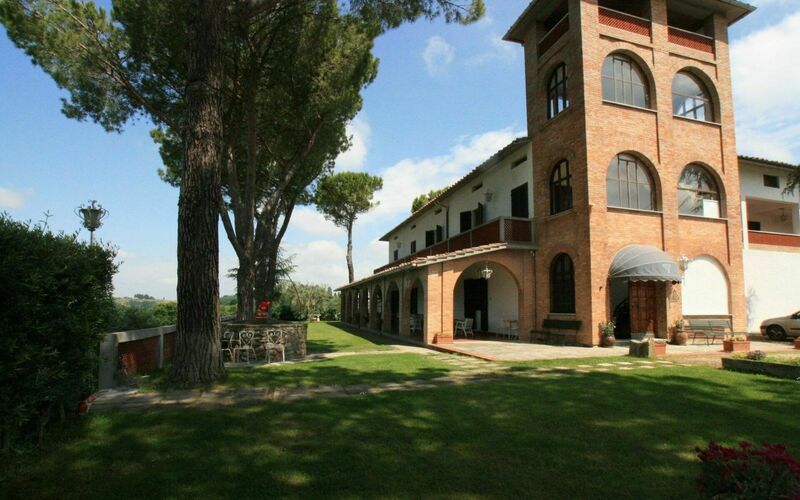 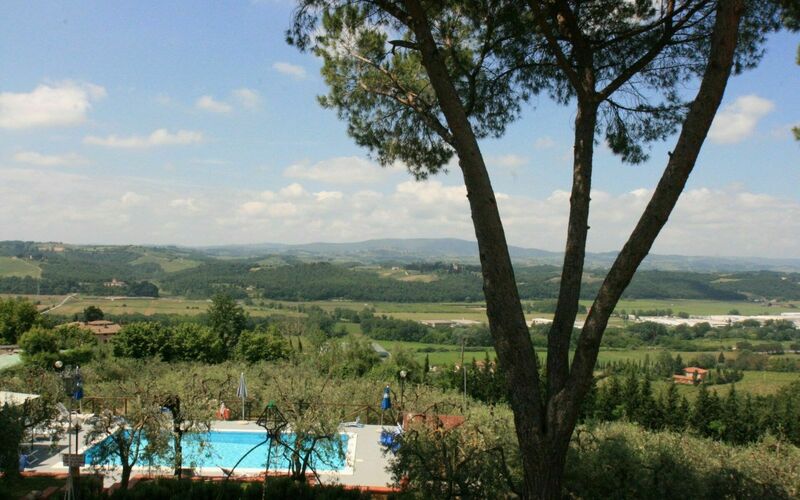 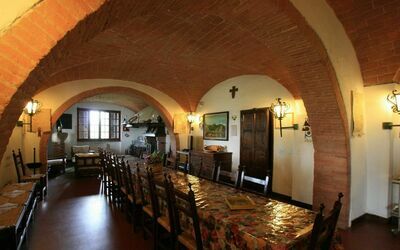 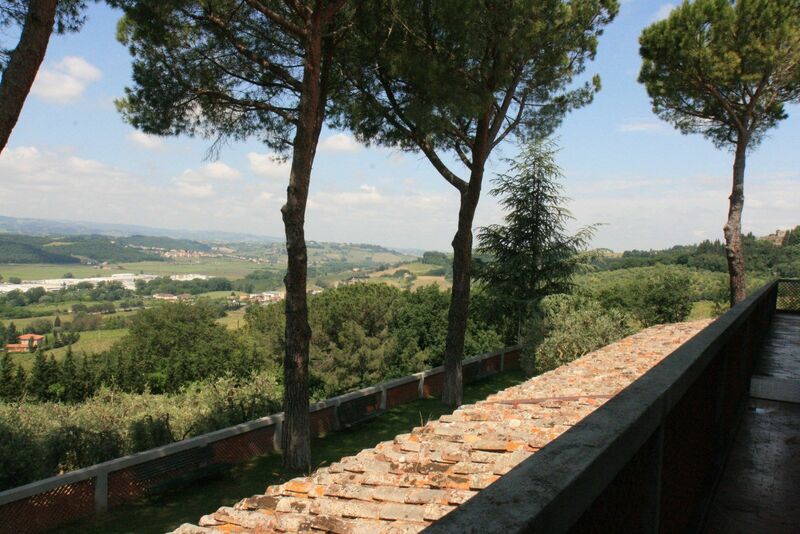 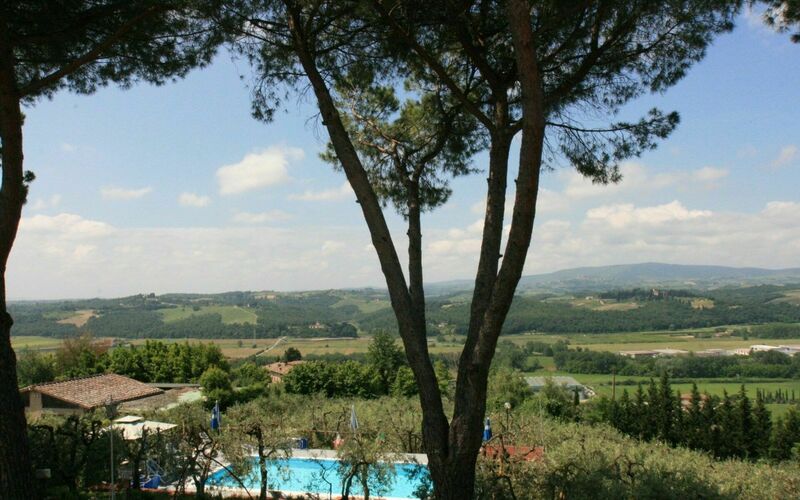 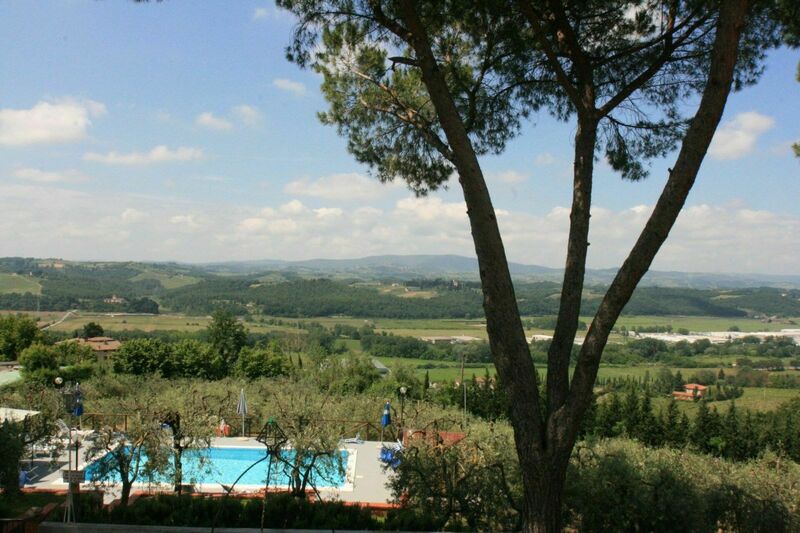 Between the Villa and San Gimignano is in the middle the special property, in which Tony Blair made his holiday. 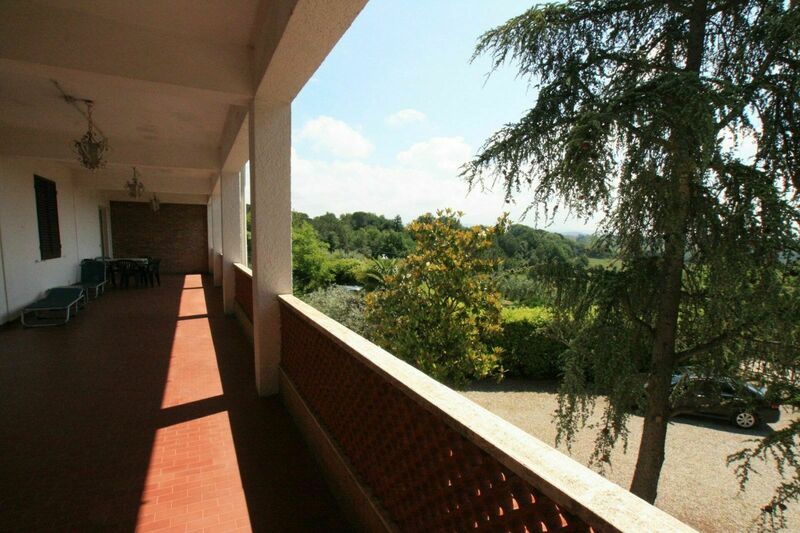 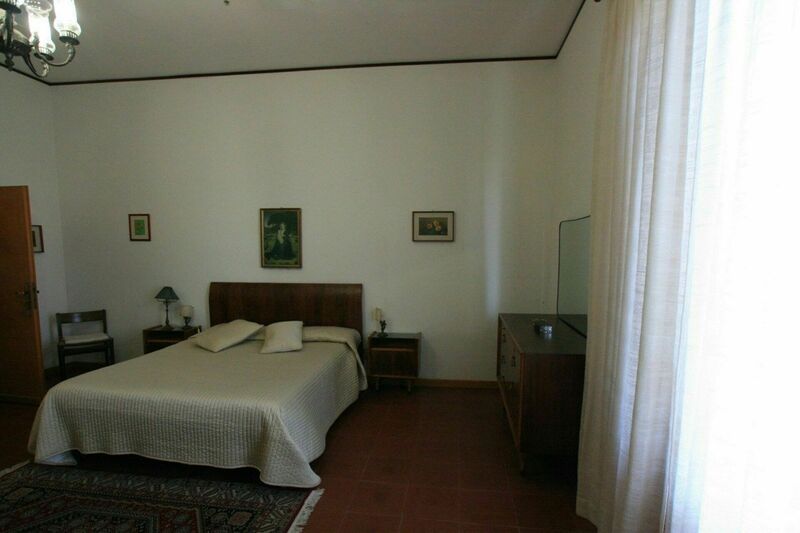 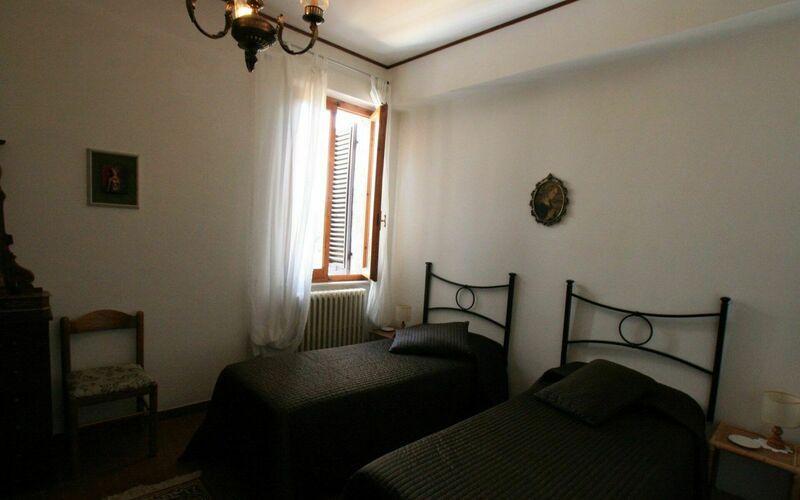 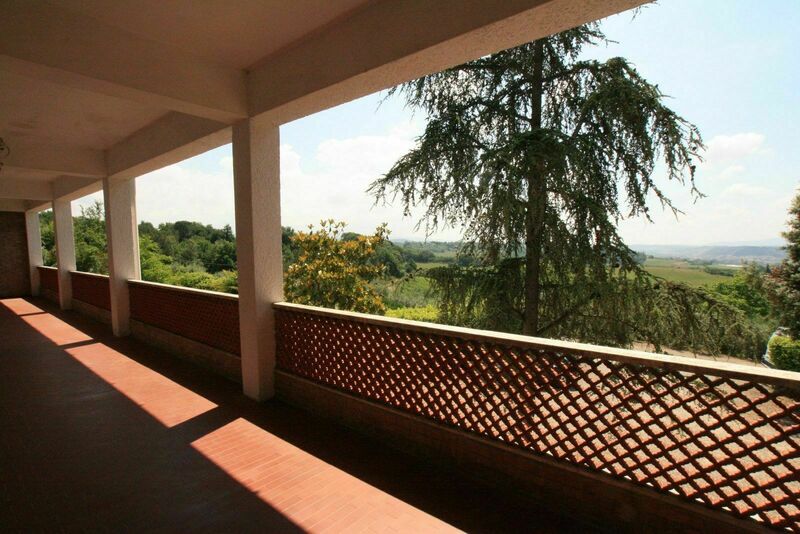 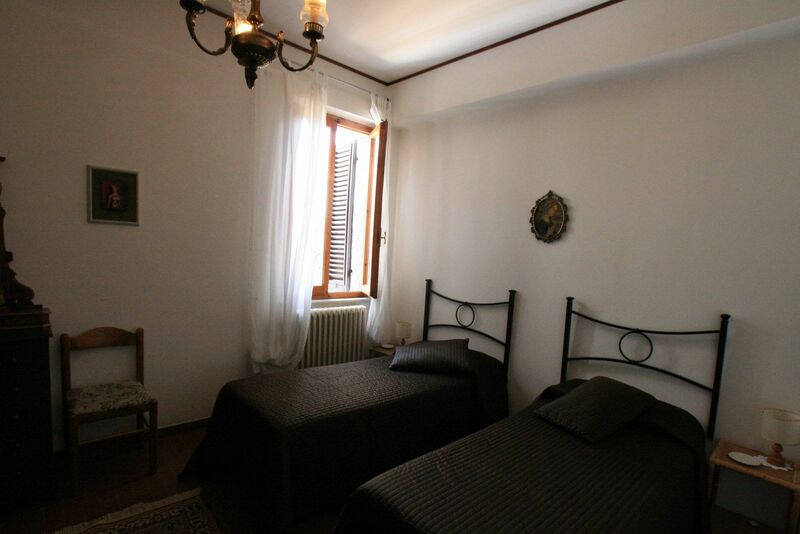 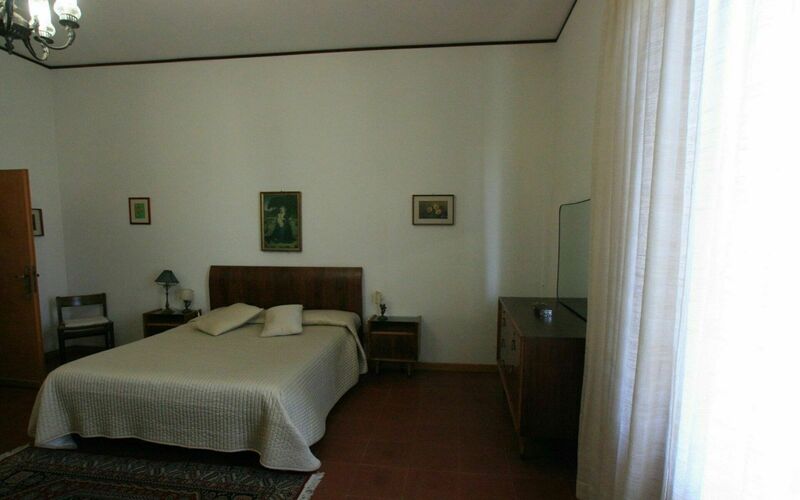 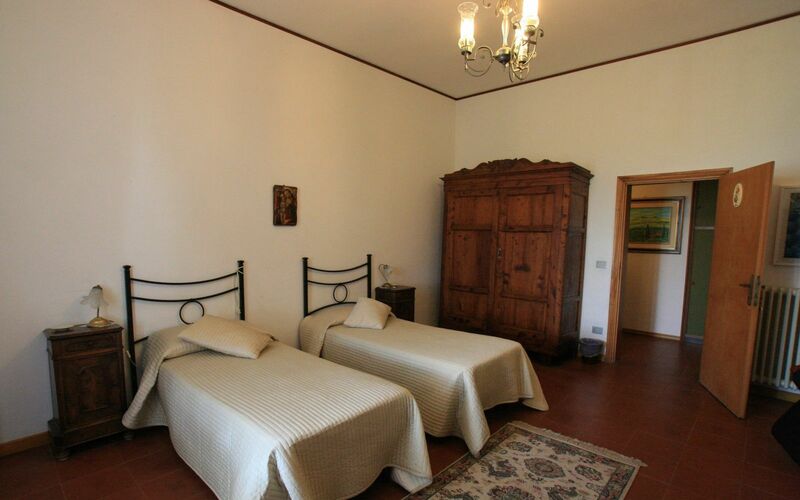 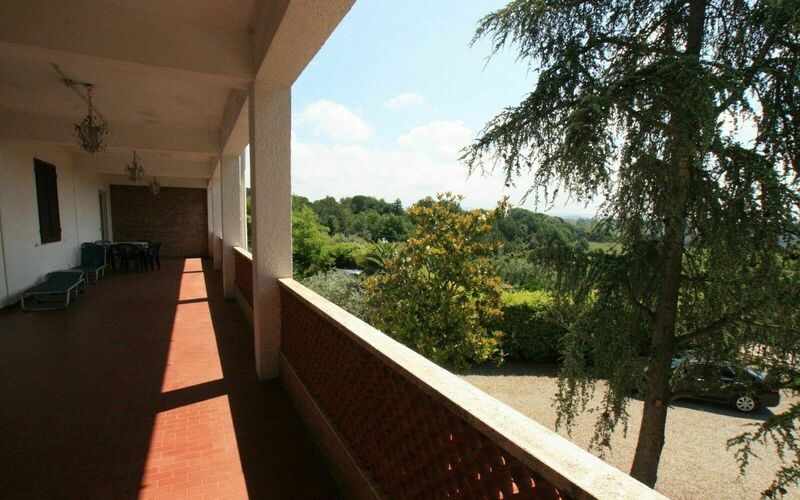 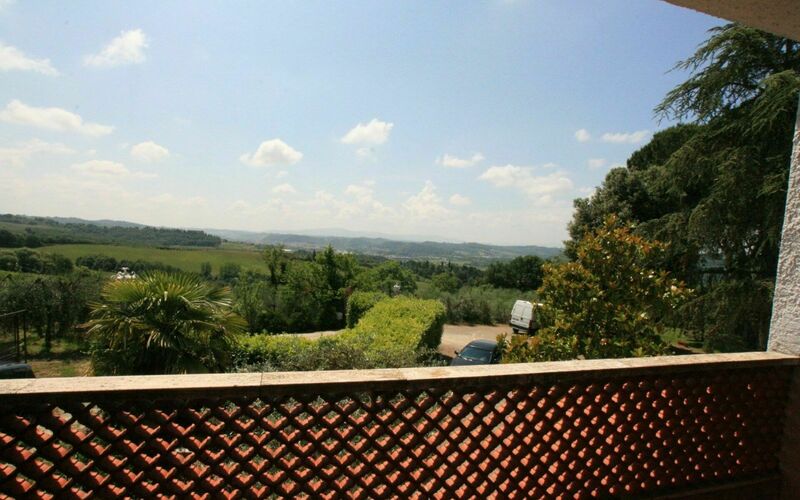 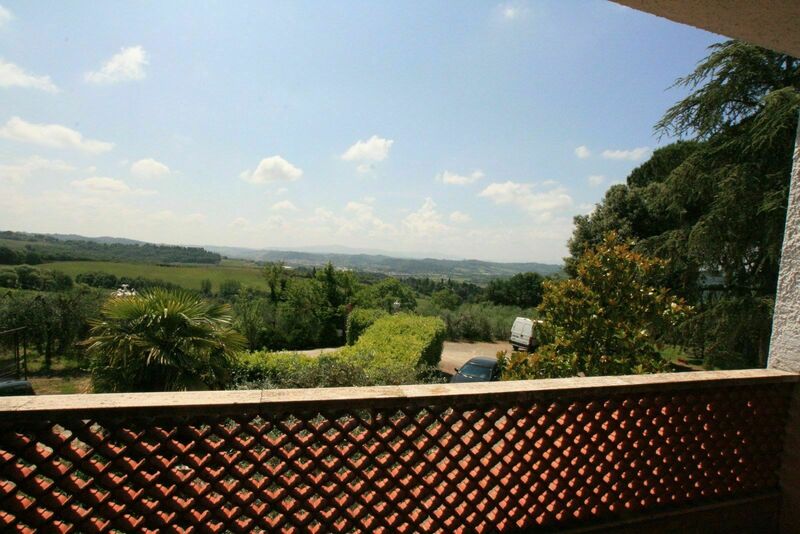 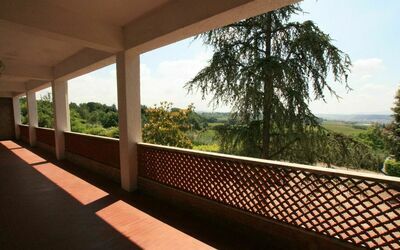 The property is well accessible, the villa itself consists of the older part of the tower and right newly construction.. Has only the living room with beautiful vaulted ceilings 140sqm, fireplace and access to covered porch. 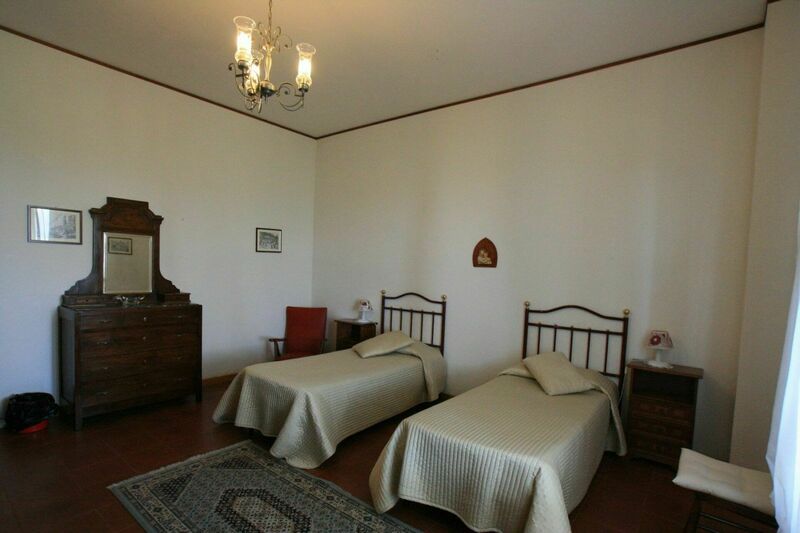 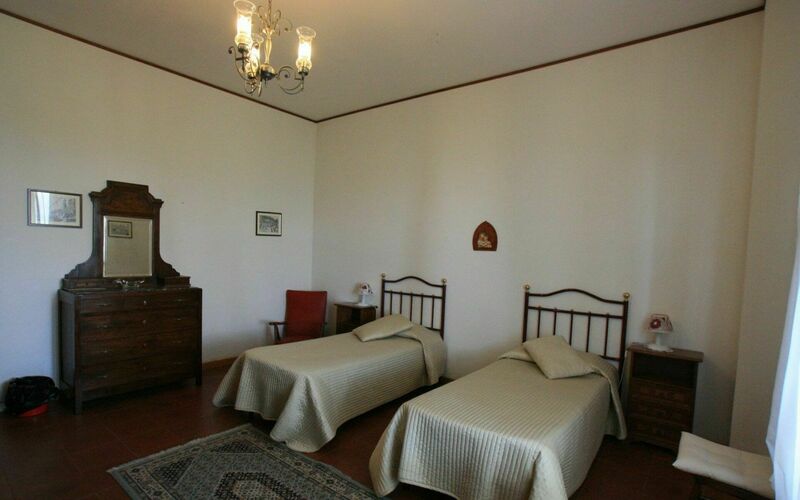 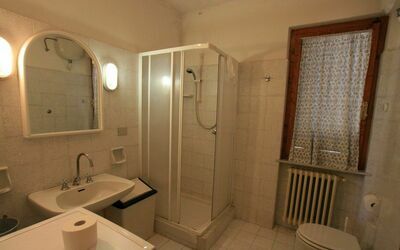 On the first floor there are 9 bedrooms and 6 bathrooms - on the second floor attic then in need of renovation. 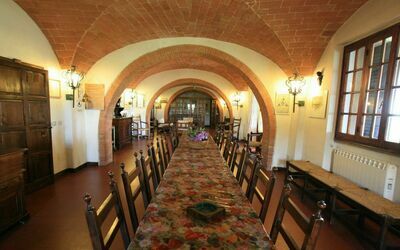 Cellar: The wine-or. Olive oil cellar, next to 2 offices and bathroom. 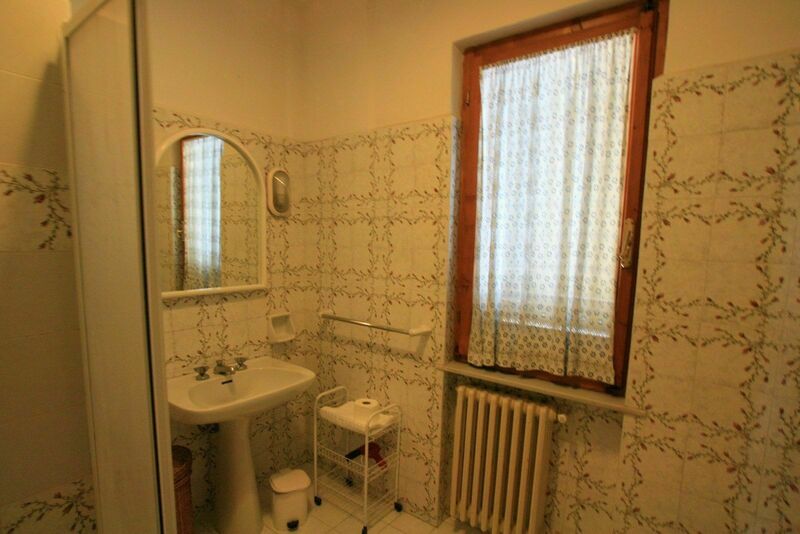 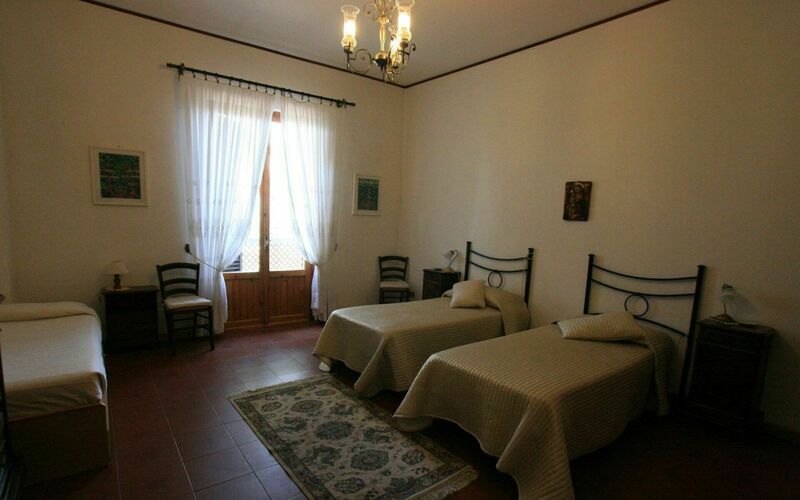 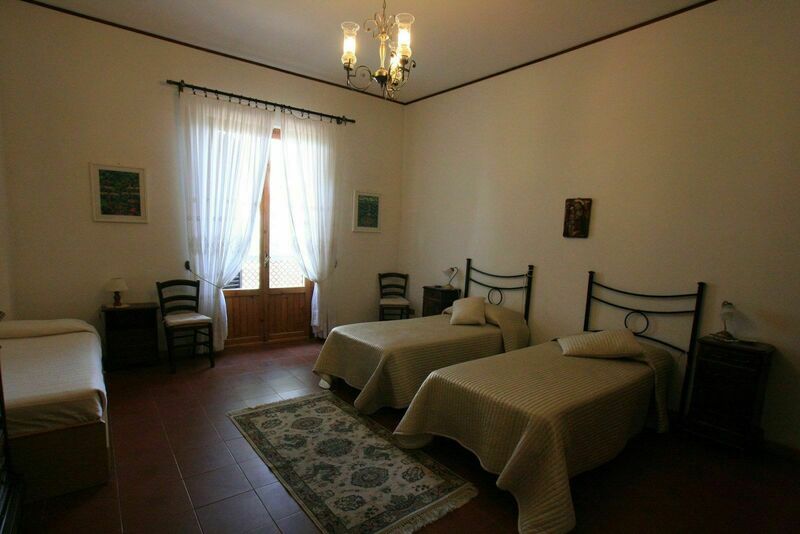 A little further from the house is a Rustico of about 270 square meters, which needs to be renovated. Swimming pool 10 x 5 m, depth 140. 1700 olive trees. 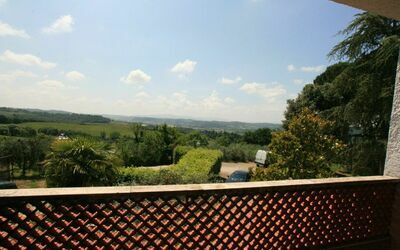 View of San Gimignano. 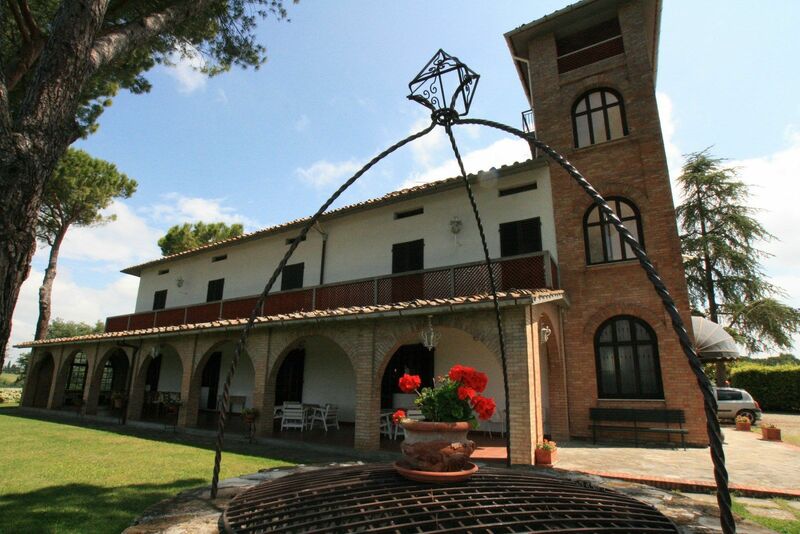 The property includes 17 acres of land - which 9 hectares of vineyards and 3 ha (1800 trees), olive grove. Layout: Ground floor: living and dining rooms (140sqm) for 20 people with fireplace, kitchen with pizza oven and dishwasher, bathroom. 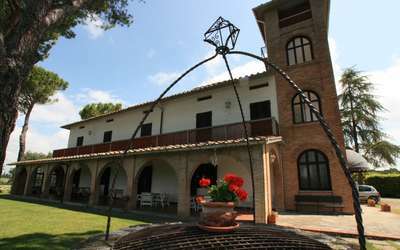 Office. Half pension for 35.-/Person on request possible.